The Combined Federal Campaign (CFC) was established by President Kennedy in 1961 as a once-a-year, in-the-workplace appeal for federal employees, including military, civilian and U.S. Postal Service personnel. The CFC was established because employees requested a convenient way to give and wanted to end year-round multiple charity appeals in the workplace. Nationwide, the CFC is the largest single fundraising effort in the world. The San Antonio and Bexar County Combined Federal Campaign is one of more than 200 campaigns in the United States, as well as an overseas campaign for federal employees stationed abroad. Locally, a committee consisting of the senior leadership of the federal community provides oversight to the San Antonio campaign. 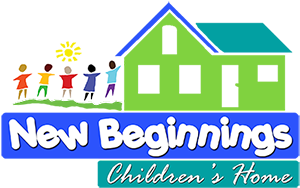 66817 New Beginnings Childrens Home at Canaan Land Ranch, Inc. 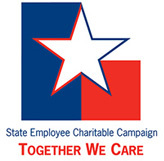 The State Employee Charitable Campaign (SECC) was created by legislation in 1993. The first campaign was run in 1994, and raised $2,027,751. Through the efforts and generosity of many state employees since then, the campaign has grown to exceed $9.345 million donated to charitable organizations in 2011. The Texas campaign is one of the largest state employee campaigns in the nation — and it’s still growing! Committees of state employees govern the SECC at two levels — statewide and locally. The committees ensure the campaign is conducted fairly and equitably under a strict set of guidelines which give donors confidence in both the charities that benefit and the methods used to solicit. At the state level, a committee of state employees called the State Policy Committee (SPC) provides governance and oversight. Four members are appointed by the Governor and three each by the Lt. Governor and the Comptroller of Public Accounts. They are responsible for a campaign plan, a budget and ensuring the eligibility of statewide organizations. The SPC also hires a state campaign manager to administer the campaign. At the local level, Local Employee Committees (LECs) provide similar oversight. The SPC appoints the LEC chair, which then recruits a local committee of up to 10 members. They also hire a local campaign manager to administer the campaign locally. Each fall state employees are given the opportunity to learn about the charities in the SECC, choose which ones they wish to help, and then fill out a pledge form to indicate how much they wish to donate to which groups. The official campaign dates are September 1 through October 31. 413004 New Beginnings Childrens Home at Canaan Land Ranch, Inc.
One of the great benefits of the SECC is the wide variety of charities and causes represented — there’s something for everyone. They range from local organizations to large and well-known national and international groups.